With its nearly 30 years of controls experience, TLC Integration Systems is now pioneering the use of advanced illumination systems to create an optimal, energy-saving lighting environment. An autonomous, user-friendly and intelligent control system will improve your lighting conditions while saving energy and reducing maintenance. We achieve this through the use of daylight harvesting, triple technology occupancy sensing, time-of-use scheduling, daylighting, Solar Powered Sun Shade Control controls and automatic light level monitoring. At the helm of TLC Integration Systems is Carl Keller. Keller has worked in the electrical field for more than 45 years. He is a recognized leader in the industry. He served on teh NEvada Energy Task Force and has conducted many Best-Practices seminars for power companies in northern and southern Nevada. To achieve the greatest energy saving, Keller recommends involving TLC Integration Systems in the building design stage. But his team can also retrofit buildings to improve lighting and save energy. Today’s most advanced computerized digital lighting controls are implemented by TLC Integration to provide reliable automation for precise control and energy efficiency. Remote monitoring and centralized control gives you the power to effectively manage your facility’s lighting environment.simply and efficiently. The unique needs and concerns of your organization will always be addressed and a customized solution found. We have worked with both commercial buildings and schools like Brodewich Bray Elementary and Shaw Middle. In addition, TLC Integration works to help you obtain any energy-saving credits available from utility companies. These credits can include substantial monetary rebates based on proven energy-savings. TLC Integration’s history is dedicated to the fundamental principles of honesty and excellence in workmanship on every project, no matter the scale. This dedication has served us well and is demonstrated by our longstanding relationships with our customer base. Be sure to check out our case studies located here. We Want To Be Part of Your Design Team! 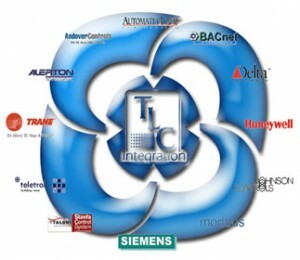 -TLC Integration expertise is here to assist you! Call us Today (775) 391-8521 or Contact Us to get a free quote!